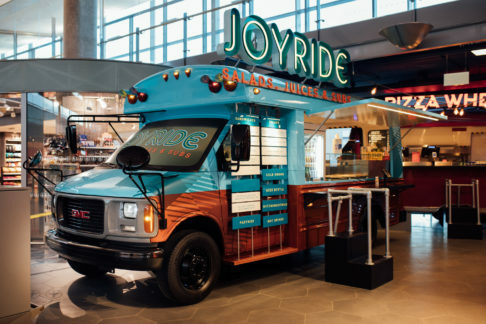 ‘Offering street food from the city of Oslo on Oslo Airport in an appealing way’, that is the thought behind the Food Truck Festival on the Norwegian airport. 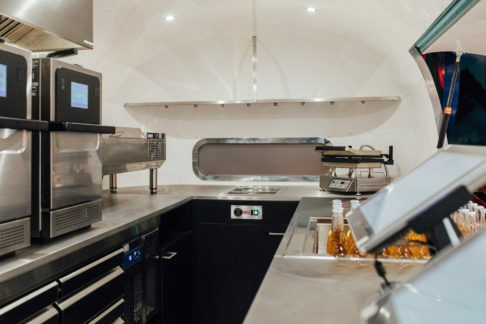 Food Truck Company built five attractive street food concepts in food trucks, food trailers, a tuk tuk and a Drop Box pop-up container to realize this, in close cooperation with client HMSHost International. 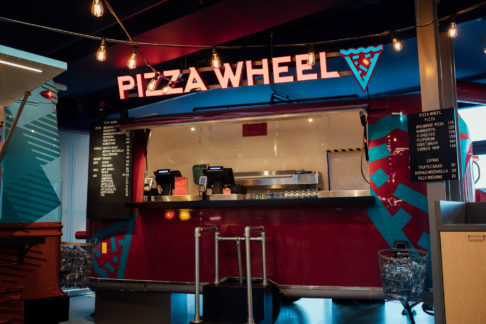 Food trailer ‘Pizza Wheel’ for example is equipped with three specially designed Turbo Chef ovens, which can prepare a pizza within two minutes.